On some trips you have the feeling of traveling several countries and landscapes at the same time, as nature is so versatile and the leisure offer so rich. Navarre is such an example, with its green valleys and forests and its almost lunar-like desert. This natural paradise has to be experienced, a changing of colors, noises and smells during each season. 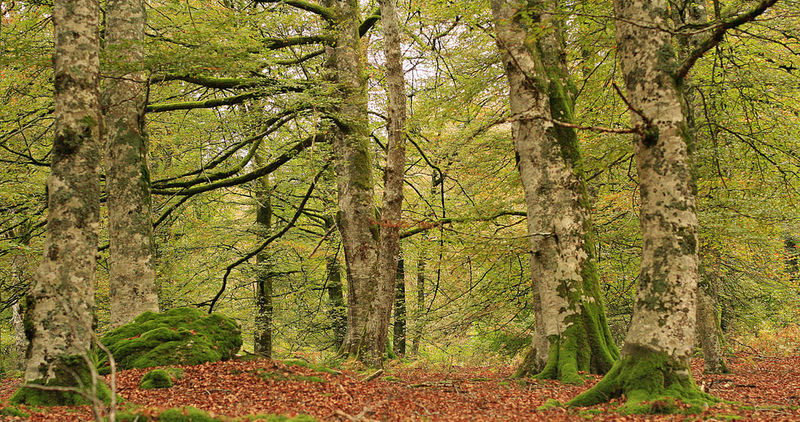 The `Iriati-Forest´, in the eastern Pyrenees of Navarre, houses the largest tree population of beeches and firs in Europe, after the Black Forest. Enjoy a stroll along one of the many hiking trails through the forest with its wild, unspoiled landscape and the sound of the Iriati River in the background or discover the quiet `Irabia Reservoir´. Sports enthusiasts will get their money’s worth in the middle of a fairytale landscape while hiking and cycling in summer or during a snowshoeing or cross-country skiing trip in winter in `Abodi´. From Ochagavía and Orbaitzeta you arrive at `Iriati´. The scenic, quiet Iriati forest is an ideal destination for a weekend getaway with family and friends that you won´t forget. 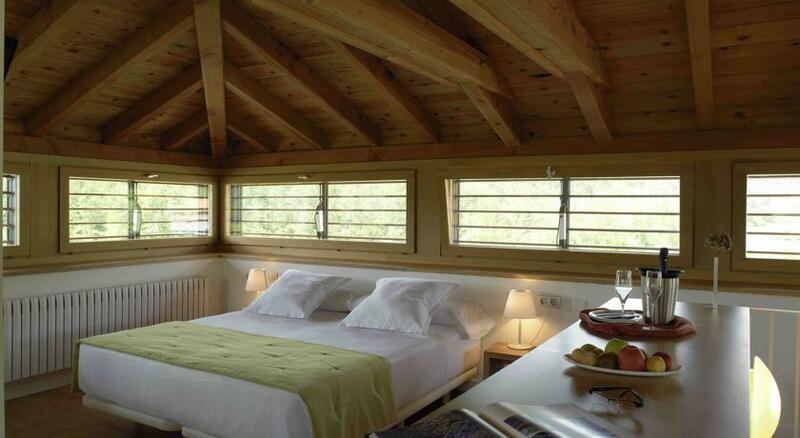 Close to `La Selva de Iriati´, this small, welcoming rural boutique hotel invites you to relax. Relax totally in a former defensive tower with mountain views and with an unstressed reading by the fireplace … sounds excellent! 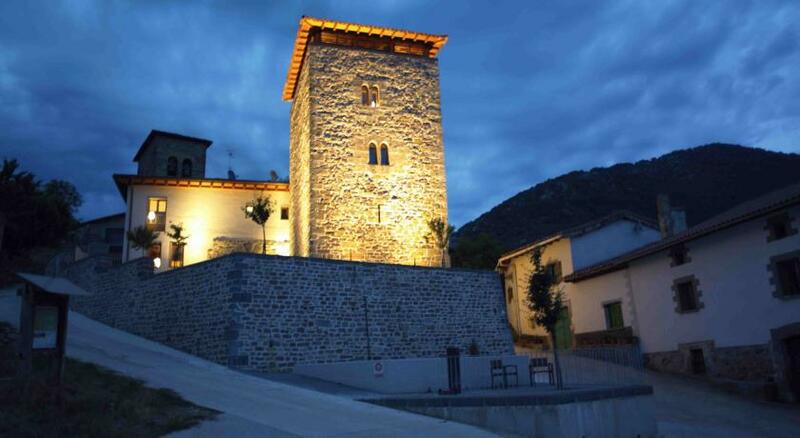 `Torre de Uriz´ in the Arce Valley is 20 km away from Iriati and the perfect place for a relaxing and romantic getaway. The 6 comfortably furnished hotel rooms are spread over the tower and an annex. Here you need nothing to worry about, simply enjoy! And from the intense green of the forest we take you now to the ….. 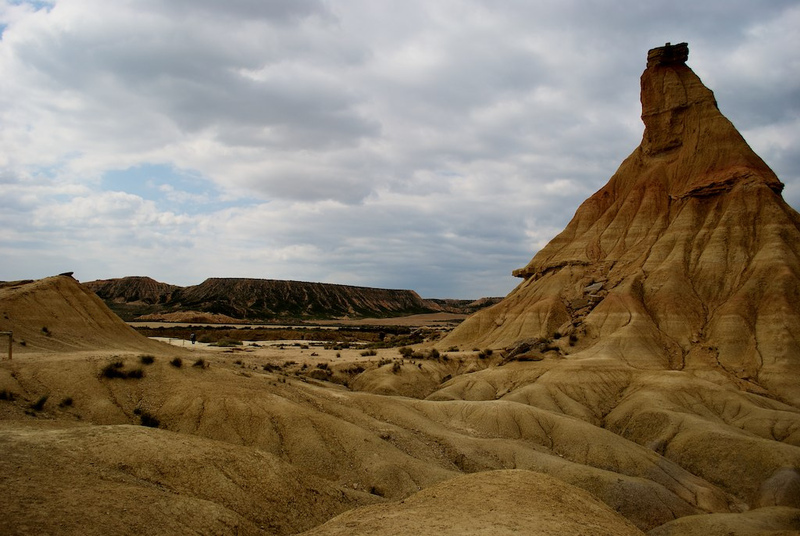 In the southeast of Navarre, close to `Tudela´ is the semi-desert `Las Bardenas Reales´, protected by UNESCO, a biosphere reserve and true landscape jewel. A unique place rich in creative shapes and colors, thanks to its surfaces of clay, plaster and sandstone. The groundwater and the wind have created impressive gorges and erosions over the years that make you speechless. Inside the `Bardenas Reales´ you will discover the more desolate `White Bardenas´ as well as a zone of vegetation. Bird lovers can observe a variety of birds of prey here. The majority of the park is protected, but there are plenty of hiking and mountain biking trails as well as marked paths for cars, segways or 4×4 tours. In such a unique place, a real dream hotel can not be missed. Here you can enjoy the splendid starry sky, even with a bath in an outdoor bathtub. Definitely your hotel in Navarre. 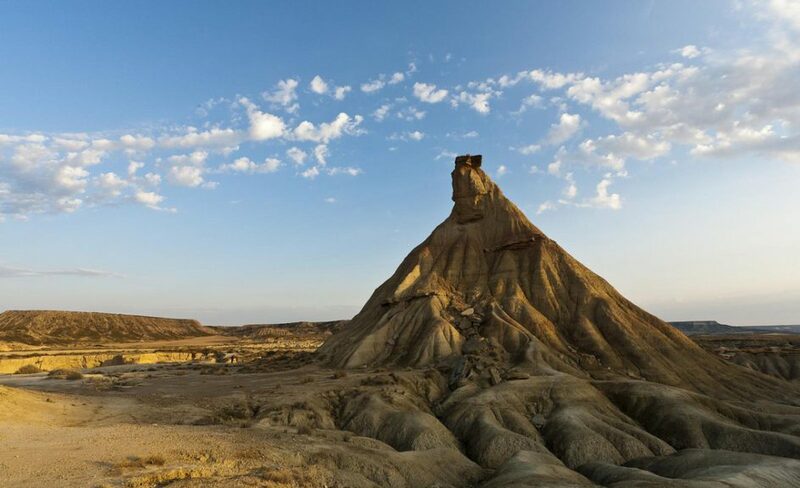 On the outskirts of `Tudela´, very close to the Natural Park `Bardenas Reales´, you will find one of the most unique and surprising hotels in Spain. Here you can literally enjoy a night under the starry sky, in one of the extravagant, bubble-like hotel rooms, for a truly romantic night. 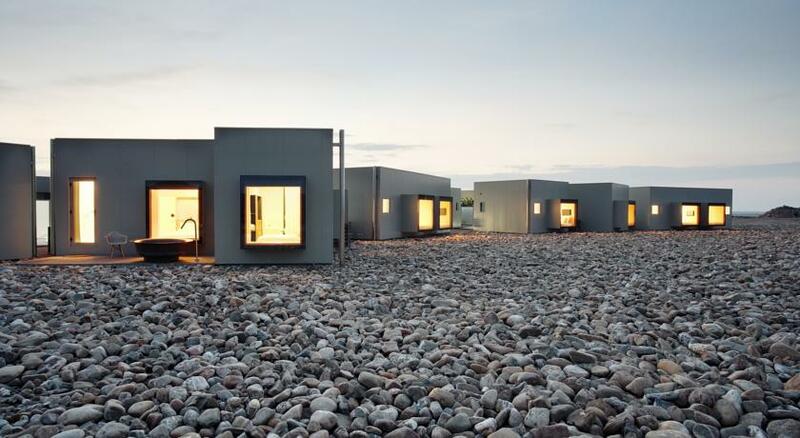 Or choose one of the `cubes´ with exclusive views and designer bathtub, some of them outdoors, for a truly authentic experience amidst this particular natural landscape. No matter what type of room you choose, conventional rooms, cubes or bubbles, you will always find a dream experience in `Aire de Bardenas´. 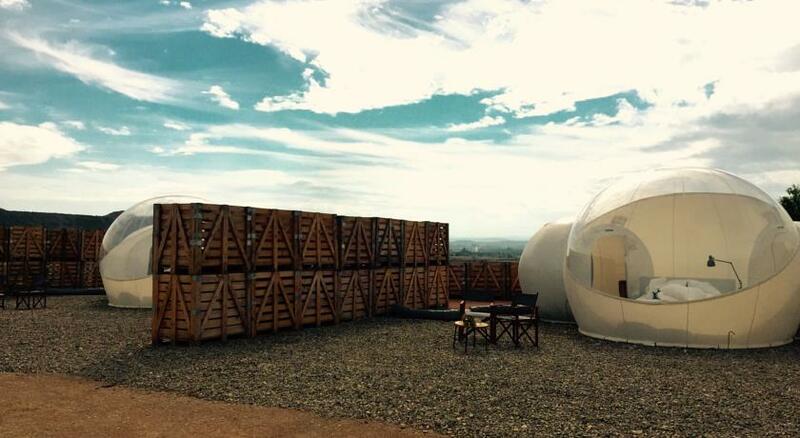 Reserve your ‘cube’ or ‘bubble’ in Hotel Aire de Bardenas. Looking for more boutique hotels in Navarre!